- 2 x 296ml/ 10oz. 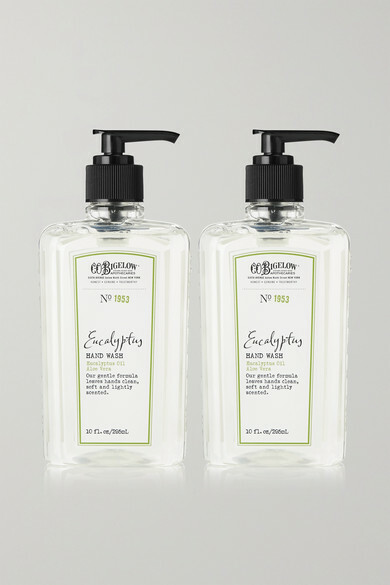 C.O.Bigelow's hand wash is infused with the brand's signature Eucalyptus fragrance that refreshes and uplifts the senses. Lightweight and foaming, this gentle formula is blended with nourishing Aloe Vera that leaves skin cleansed and soft. It comes in a set of two for a quick and easy replacement once empty.